While the Constitutional Carry bill did not pass, a non-scientific poll at wane.com showed 84% in favor of the bill. 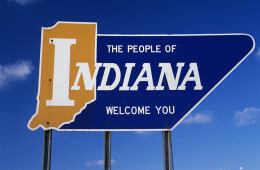 INDIANAPOLIS — The General Assembly next year is likely to consider legislation to eliminate Indiana’s licensing requirement for carrying a handgun in public. In 2003, Alaska passed the reform to restore the exercise of Second Amendment rights. In 2010, Arizona passed Constitutional Carry. In 2011, Wyoming, in 2013, Arkansas passed Act 746 into law. It is effectively Constitutional Carry, but is disputed by some county prosecutors. in 2015, Kansas, and Maine joined the Constitutional Carry club. In 2016, Idaho, Missouri, West Virginia, and Alabama enacted Constitutional Carry. In 2017, New Hampshire, and North Dakota were added to the list.